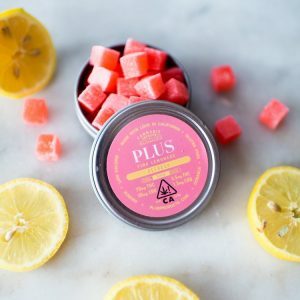 In November 2018, Plus Products Inc. (CSE: PLUS) announced that, based on Q3 2018 retail sales figures, it was the best-selling cannabis-infused edibles brand in California, the largest legal adult use cannabis market in the world. As January drew to a close, the company announced that, according to retail sales data confirmed by BDS Analytics, it has retained its position as the best-selling cannabis-infused edibles brand in the enormous California market, and its lead over the closest competing brand has further widened. During Q4, Plus also had three of the best-selling branded products in all categories including flower, vaporizers, edibles and topicals. Its “Uplift” Sour Watermelon Sativa and “Restore” Blackberry & Lemon Indica gummies remained the number one & two best-selling SKUs, and that its “CBD Relief” Pineapple & Coconut gummy was the number five best-selling product and the top CBD-only gummy according to BDS analytics. CFN recently sat down with CEO Jake Heimark at Benzinga for a one-on-one interview. Obviously Plus’ success is due to its ability to provide products that appeal to consumers increasingly looking for derivatives over flower, but it’s also a testament to the strength of the Plus brand. The immediate concerns of California’s nascent cannabis industry were not only how to get off the ground, but also how to meet demand and thrive. But as the industry matures and these initial needs are met, the question shifts to how to stand out from the pack, so branding is rapidly becoming a vital component of any successful cannabis venture. Having started in Colorado, one of the first US legal cannabis markets, in 2015, Plus Products is more established than most of the start-ups emerging in the California market, and being a top-seller in the largest legal cannabis market in the world doesn’t hurt its brand identity either. Plus’ branding reflects an understanding of today’s cannabis consumer; not the stereotypical stoner we’ve been conditioned to imagine, but consumers more often from affluent, professional backgrounds, conscious about what they put into their bodies, and looking for alternatives to smoking flower. The California market has experienced massive growth in branded derivative products, and Plus has proven itself a leader in the field, as well as a master of simple yet effective branding. Its gummies are packaged in attractive round, resealable metal tins containing 20 gummies, each with distinctive labeling, coloured to reflect individual flavours, and along with the Plus brand prominently featured, indicating Indica, Sativa, Hybrid, or CBD. The products themselves are, for the most part, named for the effect each one is designed to have, making it easier for customers to make informed choices about their desired experiences. Plus’ website is clean, and filled with brightly-coloured beauty shots of the edibles and tins surrounded by fruits and other ingredients related to each featured product. Prominent slogans like “Walking The Talk Since 2015”, “At Plus, We Do Dosable Differently”, and “Dosable Elevation That Simply Tastes Better” tell the Plus story without being overbearing about it. The only standard offering not already mentioned is Create – a sour blueberry Hybrid blend designed to boost mood and stimulate creativity – and its special holiday flavour, Holiday Bliss Sativa gummies, combines the flavours of shortbread cookies and cranberry jam, the perfect gift for the cannabis enthusiast. Its limited editions have kept the brand fresh, and enthusiasts excited to see what’s next. Its last two seasonal offerings were Rainbow Sorbet, released to coincide with Pride Week and available over the summer – with a portion of the proceeds going to support a suicide prevention hotline for LGBT youth – and Rose & Vanilla, a Valentine offering designed to put users in a loving mood. Plus recently announced the expansion of its edibles offering with the purchase of GOOD CO-OP, a California-based cannabis-infused baked goods brand known for its additive & preservative-free bite sized brownies and pumpkin spice goldies. The acquisition represents a strategic entry into the third largest edibles category, baked goods, and adds an additional 4,800 square feet of manufacturing space and associated equipment in southern California, augmenting its existing 12,000 square foot manufacturing facility. The company is currently building the largest dedicated cannabis food manufacturing facility in the US, enabling $150M in annual production, with the potential to expand to $450M. Plus Products holds the eighth temporary manufacturing license granted in California, was one of the first to introduce fully compliant products to the state, and sells its branded product to over 200 licensed dispensaries and delivery service customers.